Things have changed in the 14 years since Bill Cosby had a hit sitcom. The 76-year-old recently revealed that his planned comeback to network TV is going to be very different than his previous offerings. The star, who played Cliff Huxtable on The Cosby Show, will again play the head of a multi-generational family but this time it's going to be less edgy. The comedy legend was spotted leaving NBC studios on Thursday after an appearance on The Today Show. Looking sharp in a trench coat and brown suit he sported a scruffy beard as he flashed a smile while exiting the building. He also spoke about having a new spouse on the show: 'And I'm going to have a different wife. And it's not going to be something where, you know, hard-biting and edgy stuff. 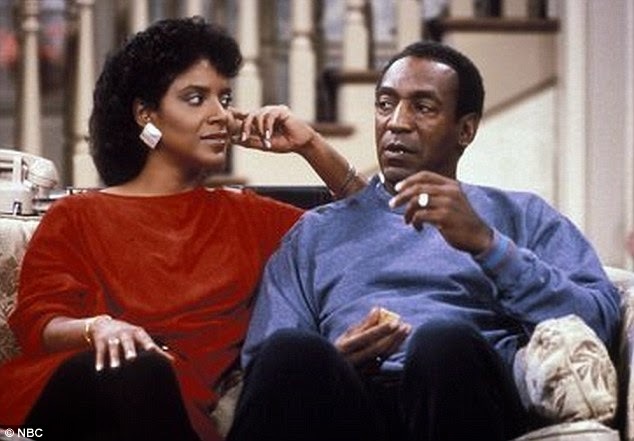 The Cosby Show, which launched in September 1984 and ran for eight seasons, focused on real life family issues - not shying away from difficult subjects modern American families actually faced. The series centred on obstetrician Cliff Huxtable and his upper middle-class African American family living in Brooklyn, New York. So as Cosby is set to return to the small screen in a comedy for NBC, which first aired The Cosby Show 30 years ago, many had the expectation he might launch a similarly hard-hitting sitcom. NBC has confirmed that the actor-comedian has signed a deal to develop and star in a new half-hour sitcom, Deadline Hollywood reports. It is being produced by Tom Werner, whose company produced the 1980s hit, according to AP. The star, who played Cliff Huxtable on The Cosby Show, will again play the head of a multi-generational family. Cosby and Werner are reportedly meeting writers for the project. Bill told Yahoo TV in November that he wanted to develop another family comedy that 'would [satisfy] the people who have come to me in public places and said, "Can't you put something on that I can watch?"